This entry was posted in Foreign Gods, My Life, UPG and tagged Bastet, foreign gods, gods, Isis, Loki, Lucifer, Odin, Pantheons, religion. Bookmark the permalink. 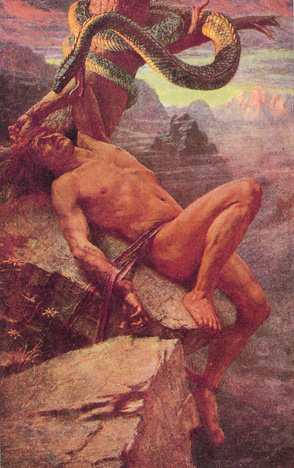 Yet another strange similarity between Lucifer and Apollo–Lucifer doesn’t particularly like Loki either. Last year for Samhain, I went to a group ritual where Loki was invoked–I didn’t know about the antagonism between the two back then, so I invited Lucifer into the circle as well. Lucifer has never outright stated that i’m not allowed to work with Loki, but he doesn’t really have to–I have no desire to work with the norse trickster, because quite honestly, he makes me nervous. Hmm, I didn’t really consider that they might not get along with each other. I always assumed it was because of specific promises I’d made to Apollon by then, that I wasn’t allowed to work with Loki. Definitely something to think about.